Arthur Cox is believed to have donated €20,000 each of the last two years. THE IRISH CANCER Society says it will refuse a donation from a high-profile law firm because it represents a tobacco company. The charity says that it won’t take further donations from Arthur Cox, believed to be in the region of €20,000 a year, after JTI Ireland, which Arthur Cox advises, had written a letter to Childrens’ Minister James Reilly warning against plain packaging laws. Speaking on Newstalk Breakfast today, the Irish Cancer Society’s head of fundraising Mark Millett said that the legal action was designed to prevent an act of legislation that is “crucial to preventing cancer”. He said that the charity relies on donations, but had to make the decision. He called the efforts by JTI Ireland, which owns the Benson and Hedges and Silk Cut brands, was “aggressive”, but said that he believed that the charity’s supporters would understand. “We’re looking at this and reviewing our policy on corporate donations. 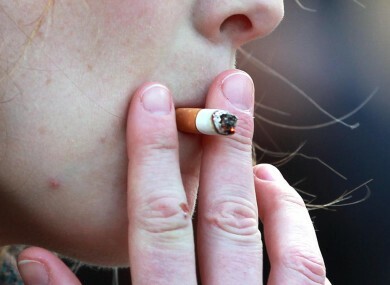 Read: Why are tobacco companies opposing this so vigorously? They’re afraid. Email “Irish Cancer Society rejects money from Arthur Cox law firm over tobacco links”. Feedback on “Irish Cancer Society rejects money from Arthur Cox law firm over tobacco links”.